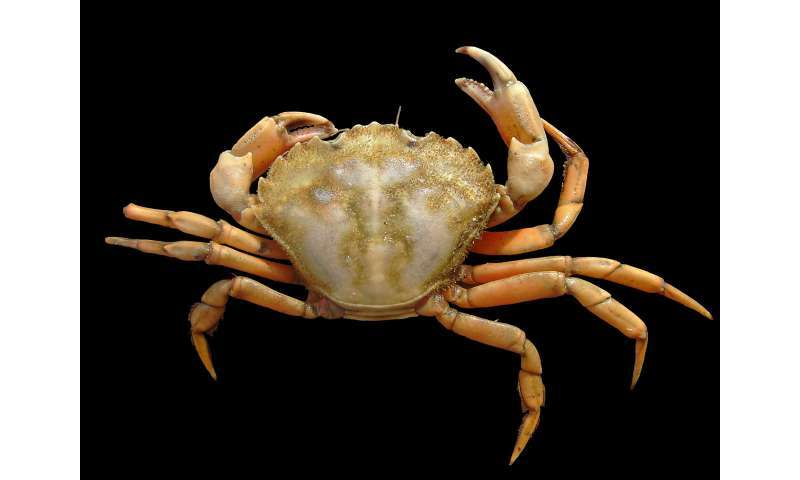 Invasive green shore crabs can "eat" by absorbing nutrients across its gills—the first demonstration of this ability in crustaceans—scientists from the University of Alberta have found. "This type of crab is so readily adaptable to extremely harsh environments, and that's why they're everywhere," explained Blewett. "They're super-tolerant to low oxygen levels and changes in salinity, and now we know they also have this ability to consume nutrients through their gills. This ability may come in handy between meals. This ability kind of makes them the superhero of the marine world—or supervillain, depending on your perspective."